Are you a hayfever sufferer? We’re a large tribe to be sure, some of us extremely burdened with this hypersensitivity to those tiny wind-born genetic delivery devices called pollen. But after watching Science Friday’s cheery video about the clever strategies employed by pollen grains to survive their difficult journey to wherever, I just can’t be angry at them. They are too beautiful and way to smart. 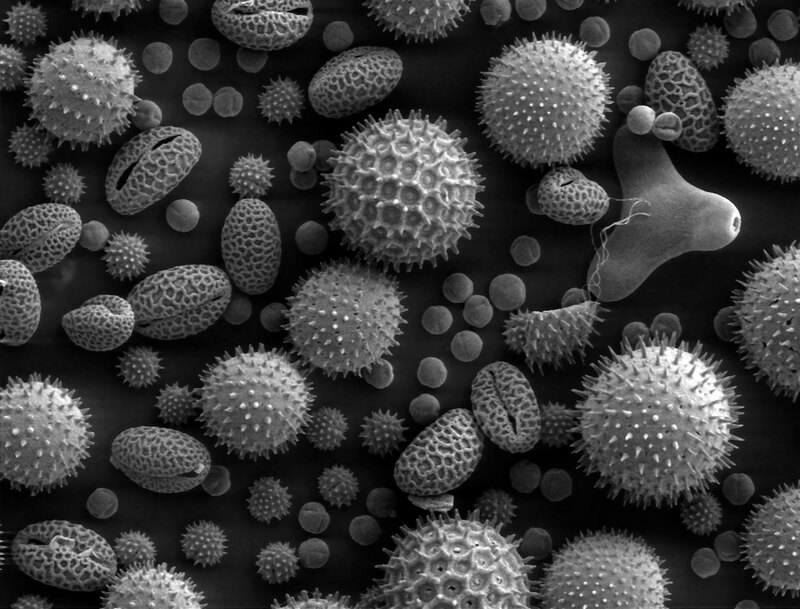 Case in point: When the pollen grains begin their journey aloft, they actually fold up, not unlike origami, to preserve the moisture on the inside. Then when they arrive, voila! they are fully fleshed again. Some fold up like deflated beach balls. Others use the apertures on their surfaces as folding sites. Every one is a wonder. It’s so intriguing you might want to watch the video more than once, seasonal allergy sufferer or no. What a wonderful little video. I’ll have to use it on a Saturday Sharing. I’m one of about 20% of the population that suffers year-round. I’ve always wanted to own stock in Kleenex. Beautiful, indeed… i have some amazing pollen wallpapers from Nat. Geographic. Ragweed, grass and trees– crikey! i work at a flower shop but nothing there bothers me ‘cept the various greeneries. Thanks for the Science Friday link..!